Well probably not the type of UFO that you imagined. However it would be pretty cool to actually see one of this type ! UFO = ALL THESE UNFINISHED PROJECTS I have in my sewing studio that I intend to finish this year. First I am working until Monday getting the entire studio ORGANIZED again. Why is it one day you have it spotless the next day it is a wreck? Well after I get that straightened out, vacuumed and mopped I’ll be ready to get busy. Along with finishing the UFOs I do have a quilt that is promised by June to be a donation quilt. 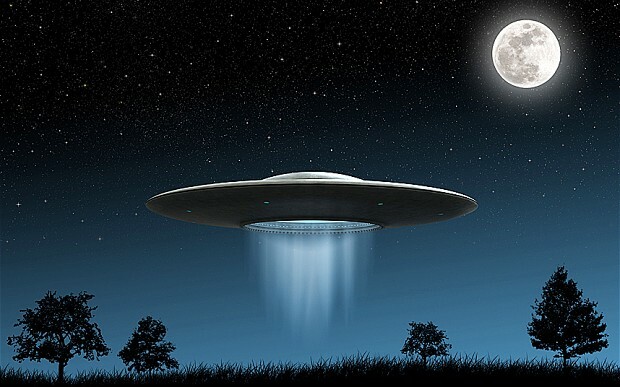 So stay tuned for my UFO projects each week. I think this will be fun. You are in for a fun ride with the aliens! This entry was posted in 2015 New Posts, UFO's. Bookmark the permalink. One of my guilds is having a challenge. We were to list our UFO’s (any stage, from just uncut fabric, to, almost done) that were at least 100″ all the way around. I listed 28 items that fit in that category. I know that I missed several others, too. Guess I need to ‘finish’ some stuff.